When taken correctly with regular reviews by your doctor, medications can help control your medical conditions, improve your health and wellbeing, and prolong your life. Here are some guidelines for using medications safely. 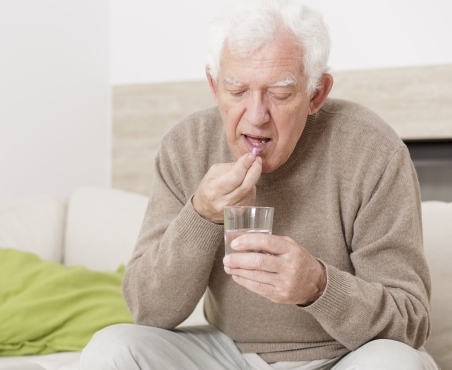 As well as the risk of falls increasing with age, some medications increase the risk. In particular, you should be careful with any medications that can affect your sense of balance, coordination or awareness. Taking several medications increases the risk of side effects and issues such as medications not reacting well when taken together. Tell your GP, practice nurse or pharmacist if you have any dizziness, drowsiness, nausea, vision problems, or feel unsteady on your feet. Don't stop taking your medication without talking to a health professional. Know your medications. Ask your doctor or pharmacist for a list with the name, dose and purpose of your medications and any medications you can’t take (due to allergies or intolerances). This list is often printed on a yellow card. Keep the list up-to-date and take it with you every time you visit a health professional. Ask your doctor or pharmacist how long you should keep taking your medications and what side effects you might have. Talk to your doctor about the risks and benefits of starting a new medication and whether the benefits outweigh the risks. For more information, see Choosing your medical care wisely. You can look up your medications on Medication factsheets to learn about their side effects and how they react with other medications. Regularly review your medications with your doctor and discuss any over-the-counter medicines or health supplements that you take. If you find it hard to remember to take your medications, talk to your pharmacist about blister packs or other systems to help you manage. Alcohol increases the risks of taking medications, especially as we get older. If you're taking medications that make you drowsy, alcohol will increase your drowsiness. See How to take medicines for more information about drinking alcohol when you're taking medications. Take care with activities that require good balance, vision, and hearing. Avoid, or be very careful with, climbing ladders or stools. Keep fit, strong and active by doing housework, walking, gardening and joining a community strength and balance class such as modified tai chi. For more information, see Falls prevention service & programmes.